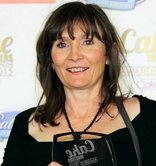 ACADA's aim is to showcase the incredible cake artists we have within our country, to provide world class learning opportunities and encouragement to emerging cake artists (all levels) and to host Australia's inaugural (annual) international standard cake show International Cake Show Australia. Europe, UK and USA have hosted similar shows for years and have offered ACADA overwhelming support. Their shows are exceptional. It's now Australia's turn to SHINE and appear as a permanent fixture on the international cake event calendar. What is the cake world is saying about ACADA? 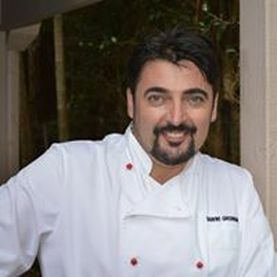 "It is my honor to announce that I have accepted an invitation to be the International Advisor on the board of the Australian Cake Artists & Decorators Association! I have great respect for the history of decorating in Australia, and have been fortunate enough to travel there many times, and even more fortunate to have been able to make some lifelong friends in that beautiful country. I look forward to working with the ACADA and with sharing more about it with all of you"
"I'm very excited be be a part of the Team at ACADA, being involved and spreading the knowledge to all those so enthusiastic about sugar art as I am. I'm honoured to be Judging Director and look forward to seeing all your amazing creations at ICSA, Australia's very first truly international standard cake show! The benefits of being a member is that you will have access to world class tutors and masters of the art! I encourage everyone to join regardless of whether you are a beginner or a professional. Thers so much to gain and learn. Its a gerat way to meet lifelong friends and to make friends along the way. I love what ACADA is going" and very pleased I've been given the opportunity to be part of their vision and the excitement its created"
ACADA is an organisation established specifically for the benefit of the cake decorating industry. It is run by our industry, for our industry. Unlike many private organisations or associations ALL PROFITS made are reinvested back into our industry and used soley for the benefit of all ACADA members. ​"I am very honoured to be an ACADA Member and small part of this amazing organisation set up for all of our wonderful cake designers and artists here in Australia and from all around the world, a very exciting new year ahead to look forward to. ACADA & International Cake Show Australia will be held in Brisbane Australia. Get Excited, join ACADA and get your tickets early. We all know how fast the year goes so don't miss out"
What I love most about this venture is that it is a not-for-profit organisation dedicated to advancing the artists and decorators of our community and is also created for cake decorators of all levels (regardless of whether you are a high profile cake artist, commercial or home hobbyist decorator, novice, supplier or educator). ACADA is supported by a high profile board. Joan has a vision to bring an international style show to Australia. ACADA has already announced high profile local and international talent for the first show - Benny Rivera, Nathasja Flapper and Calli Hopper. They are also posting some fantastic artist spotlights, with a special focus on Australian artists''. "I'm very proud to be a supporter of ACADA. 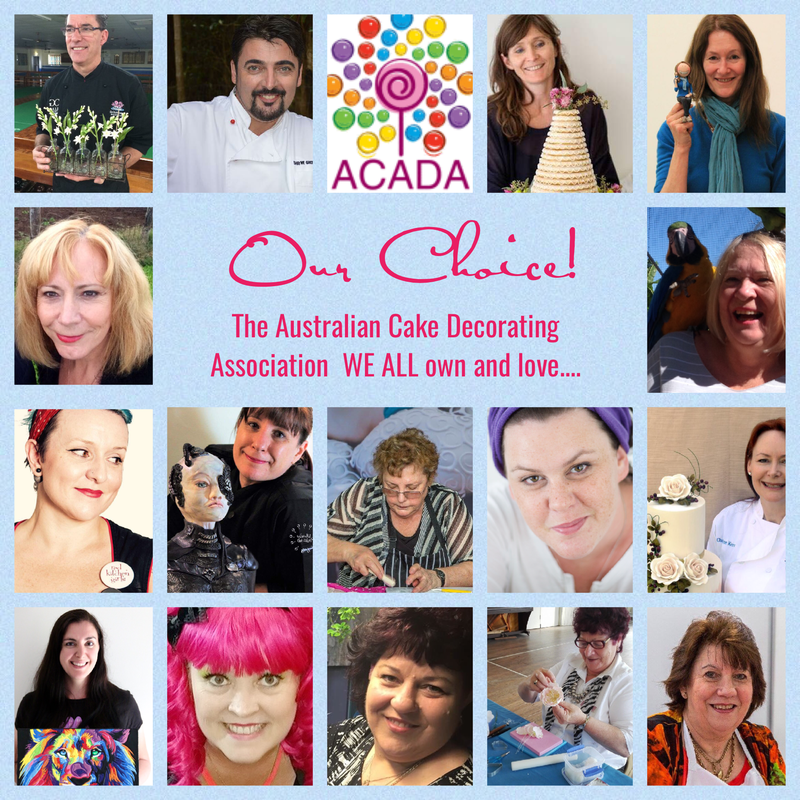 We have many diffeent cake decorating groups so why have I chosen ACADA and why is it different? I believe this is the first group within Austrlaia that is forward thinking. It believes in staying relevant with the newest techniques, trends, skills and ideas whilst also having the knowledge skills base and training of the traditional styles. Its the best of both worlds and non-profit so any money raised goes back into the cake decorating industry to teach and help members grow. I'm excited that ACADA will truly be part of the greater cake world bringing the best of decorating globally to Australia. Its appealing to decorators young and not so young. The show and competition are truly innovative, fresh and inspiring. I'm really excited to be a member of this wonderful association"